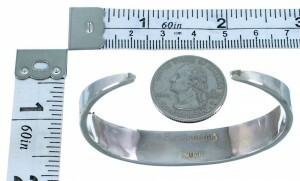 The inner bracelet circumference measures approximately 5-1/8", plus a 1" opening, and 3/8" at widest point. 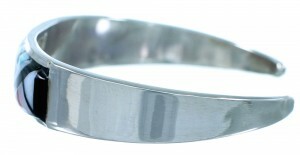 This bracelet is a Zuni classic! 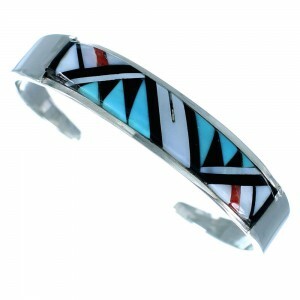 This piece of Native American jewelry is Zuni hand crafted by artist Clarence Booqua, out of genuine sterling silver and real multicolor inlay. 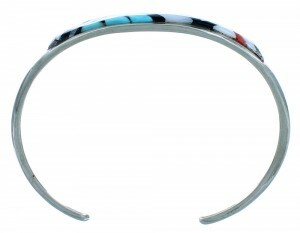 The inlay consists of: Turquoise, Coral, Jet, and Mother of Pearl. The inlay is carefully set, creating beautiful patterns for an exquisite finish. 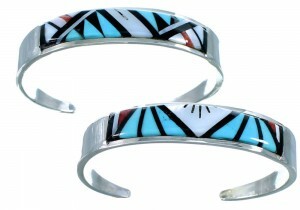 The bracelet is stamped Zuni and hallmarked by the artist.